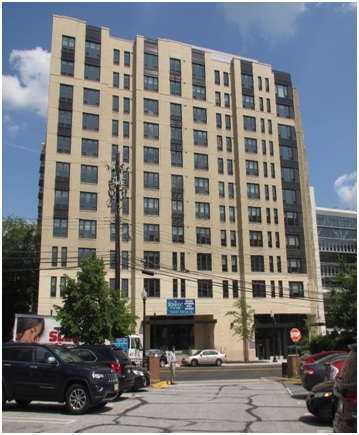 This residential building has eleven floors above grade which includes 10,000 gsf of retail at the first floor, 140,000 gsf of residences, and one parking level 18,000 gsf below grade for a total building area of 168,000 gsf. 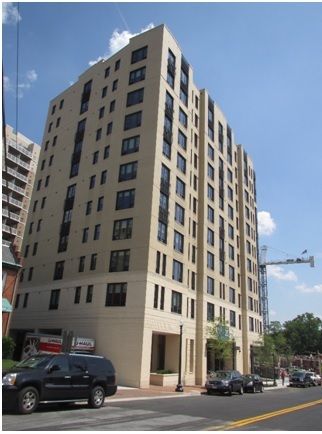 The structural design included post-tensioned reinforced concrete for the floors above the first floor and conventional reinforced concrete for the first floor. We also provided the inspection of the construction.